"Drink-fueled air rage is becoming more commonplace," says Robert Quigley, a senior vice president for International SOS and MedAire, which provide travel-security services. Incidents involving unruly airline passengers have been rising in recent years. In 2017, airlines reported one altercation for every 1,053 flights, up 35 percent from the previous year, according to the International Air Transport Association. Drugs and alcohol play a leading role in many of these incidents. The association says 27 percent of the cases involved alcohol consumption or some other kind of intoxication. An additional 24 percent were related to noncompliance with smoking regulations. "Drink-fueled air rage is becoming more commonplace," says Robert Quigley, a senior vice president for International SOS and MedAire, which provide travel-security services. "Multiple agencies that oversee in-flight regulations are now collaborating with the commercial airlines to review present practices of the selling and the consumption of alcohol in both airport bars as well as in-flight." It looks like a simple problem: Too many airline passengers are getting drunk. But the solution is not so simple. Some passengers say the obvious answer is for airlines to limit sales of alcoholic beverages. But airlines are leaning toward a regulatory fix. Airline crews are trained to handle intoxicated passengers. And there are strict policies to prevent inebriated passengers from boarding — but they don’t always work. Randall Flick, a recently retired airline pilot, recalls one traveler who breezed past a gate agent and boarded Flick’s plane while "heavily" intoxicated." I told him that he wasn’t getting on his flight. I don’t think he really understood," he says. The inebriated traveler and the gate agent were both at fault, Flick says: He should have had less to drink before boarding. The agent should have screened him properly and kept him off the plane. "The gate agents didn’t always notice when a passenger was intoxicated," Flick says. "Most of the time, the intoxicated passenger just went to sleep as the cabin altitude rose during the flight. But an intoxicated passenger could endanger the safety of others during an emergency." or intimidating" crew members and interfering with their duties. Doing so carries a fine of up to $35,000 and a prison sentence of up to 20 years. For some air travelers, the solution to this problem seems clear: If the government can end smoking on flights, then why not ban drinking? (Hint: Liquor, beer, and wine account for more than half of in-flight sales for the airline industry.) Barring that, why don’t airlines better enforce the rules that prohibit intoxicated passengers from boarding an aircraft and continuing to drink on board? But alcohol isn’t always the problem. Consider what happened this year on a Delta Air Lines flight from Seattle to Los Angeles. A passenger allegedly refused to stay seated and walked toward the cockpit several times. The flight diverted to Portland, Ore., and police arrested the passenger, who told authorities that he had been high on methamphetamines before boarding the plane. The airline industry believes that more regulations would help. The transport association, which represents the worldwide airline industry, has lobbied for stronger international treaties to deter unruly behavior. It says gaps in the international conventions governing such offenses allow many unruly passengers to escape punishment. It wants, at a minimum, for authorities to clarify what constitutes unruly behavior and to reinforce the right of airlines to seek recovery of the significant costs of dealing with unruly passengers. 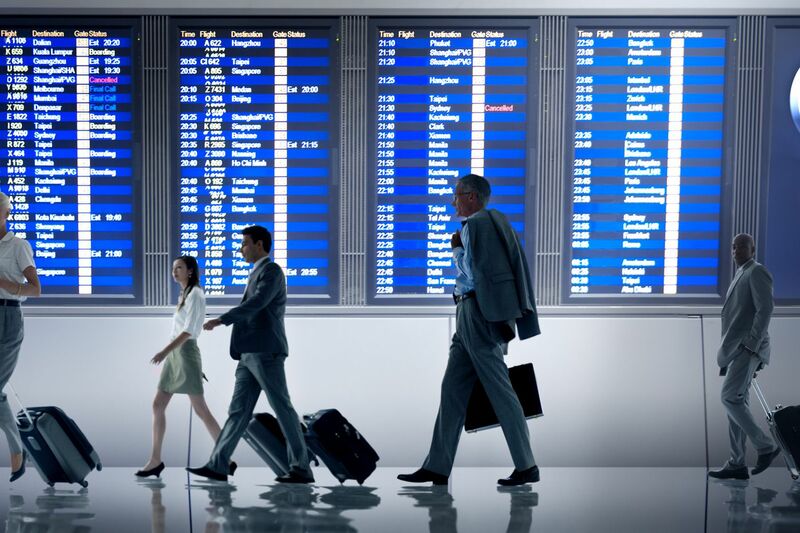 "We need more countries, including the U.S., to ratify a new treaty that closes loopholes that enable unruly passengers to elude any legal consequences on international flights," says Tim Colehan, an assistant director for the transport association. Experts believe that a few practical steps would also reduce the number of unruly passengers in the air. MedAire’s Quigley says airlines need to develop an industrywide policy that limits the number of drinks per passenger and to enforce this policy consistently. Gate-screening processes should also be tightened, he says, and should involve airport-security personnel, not just airline employees. "Flight attendants are not trained or expected to act as law enforcement agents," Quigley says. For your safety and that of your fellow passengers, avoid alcoholic beverages or recreational drugs before and during a flight. If you’re seated next to someone who is obviously drunk or high, don’t wait for the cabin doors to close; immediately, but discreetly, alert a flight attendant. If that doesn’t resolve the situation, ask to move to another seat or even to take another flight, time permitting. Christopher Elliott is a consumer advocate, journalist, and co-founder of the advocacy group Travelers United. Contact him at chris@elliott.org.